Found your beautiful work on FB and love it! 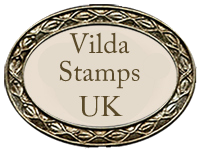 All your cards are so wonderfully detailed and love the layering and distressing on the edges!Just added your blog to my list of favorites so as to see all of your work with a click of the mouse and so as not to miss any of your lovely cards! Have a beautiful day.